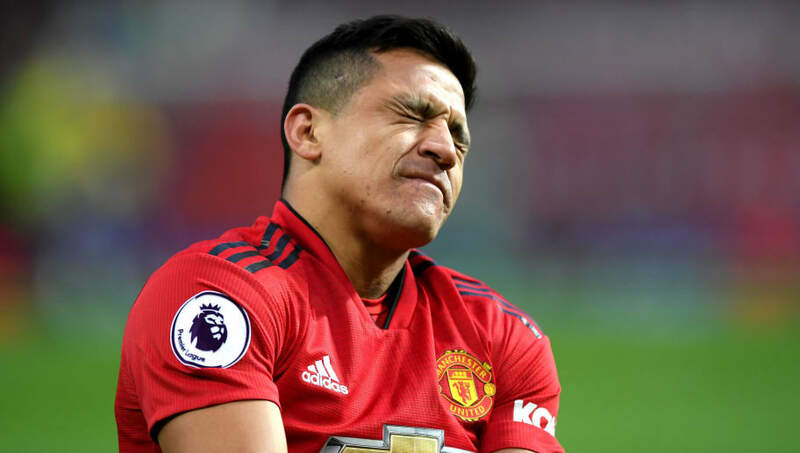 ​Manchester United manager Ole Gunnar Solskjaer has confirmed that forward Alexis Sanchez is 'injury free' but is more likely to make his return to action after a five-week layoff against former club Barcelona next week rather than against West Ham on Saturday. Sanchez has missed United's last six games in all competitions after tweaking knee ligaments in the home win over Southampton at the beginning of March. "He is training with us. He's trained twice and will train today," Solskjaer explained on Friday morning at his weekly press conference. "I'm not sure if he's going to be available [for West Ham]. He's injury free, I'm not sure he's 100% ready, more likely, maybe, the Barcelona game, so let's see." Ander Herrera, who looks likely to joining Paris Saint-Germain on a free transfer this summer will also miss the game as a result of an ongoing knock suffered in training. "He's been working really hard to get fit from his injury that he sustained against Liverpool. Then he came back and got a different one in training, because he's been really putting a lot of work in," the United manager explained, via ​ManUtd.com. Giving little away as far as the player's uncertain future is concerned, he added: "Maybe the future might have been worrying him and maybe that's part of the reasons he's injured. Who knows? He doesn't know, because he got a different injury in training, so hopefully he can be available around Chelsea, City. I'm not sure, because he's got another muscle injury." Nemanja Matic is 'ill' and won't be involved against West Ham, suggesting Scott McTominay could start against after his impressive performance against Barcelona. Solskjaer also has something of a full-back headache as a result of Luke Shaw and Ashley Young both being suspended. Antonio Valencia is unavailable, despite playing for Ecuador on international duty last month, and there remains doubt over Matteo Darmian. "We don't have full-backs this week," Solskjaer had told MUTV prior to facing the press. "Not too many as we've lost Luke and Ashley through suspension. Antonio is still not fit. Maybe Matteo will be available for the bench and [Marcos] Rojo has been training for a while. He's available and we've got Jonah [Phil Jones], who could also play there." It could be that Rojo starts at left-back for what would be only his fourth Premier League appearance of the season. Diogo Dalot would be the obvious choice at right-back, unless Solskjaer continues to play the Portuguese youngster further forward.